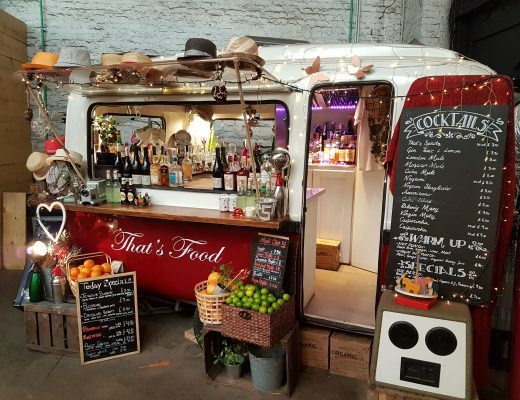 London has a vibrant food market and street food scene, which can be the perfect place to grab a bite to eat. 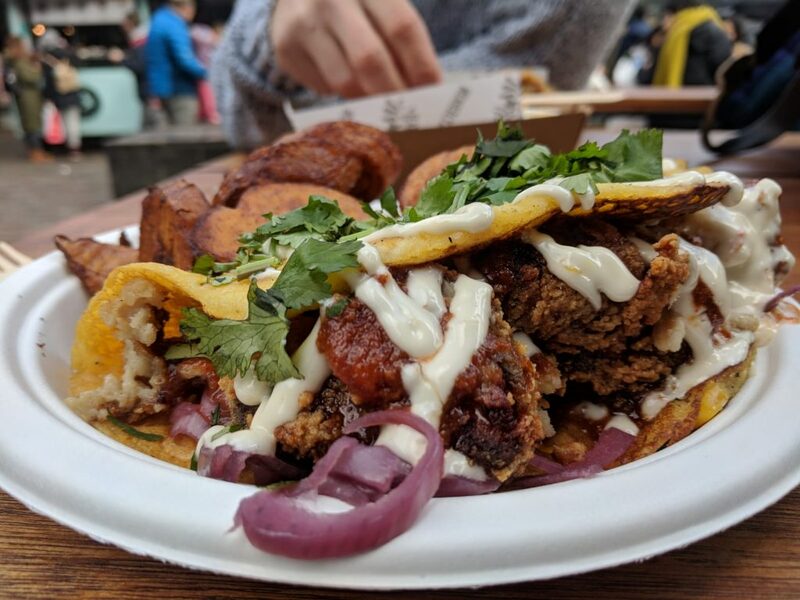 This guide focuses on London’s gluten free street food options and I hadn’t realised how many there were until I started compling my list! 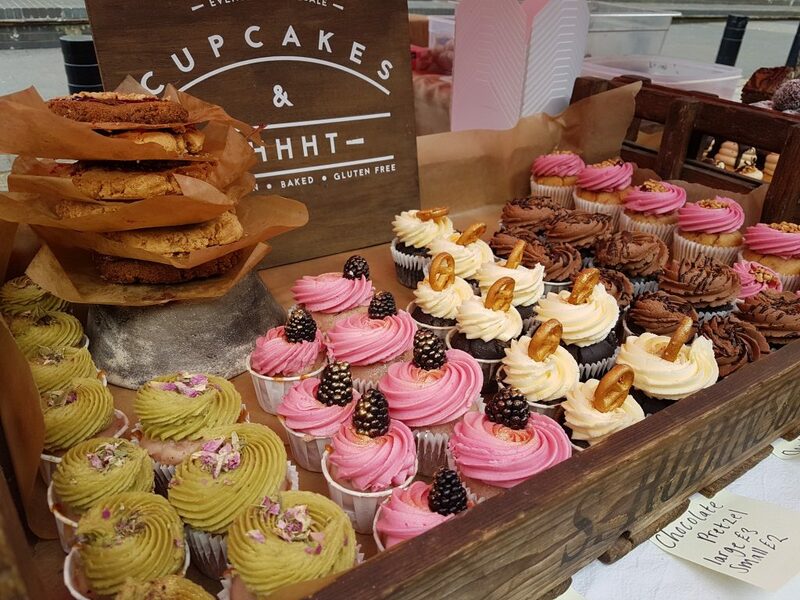 There are dozens of fully gluten free market traders to be discovered, all utterly delicious and some also catering for other dietary requirements (dairy free, vegan, etc). 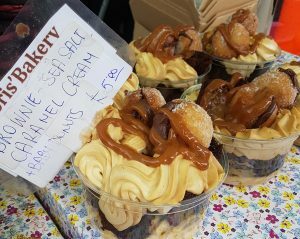 Below you find a round up of London’s best fully gluten free street food vendours, followed by a couple of my other favourites that can cater for coeliacs (but are not fully gluten free). I have noted where the vendours tend to be, but please do double check on their respective social media channels and websites if you are determined to try one particular vendour on the list. 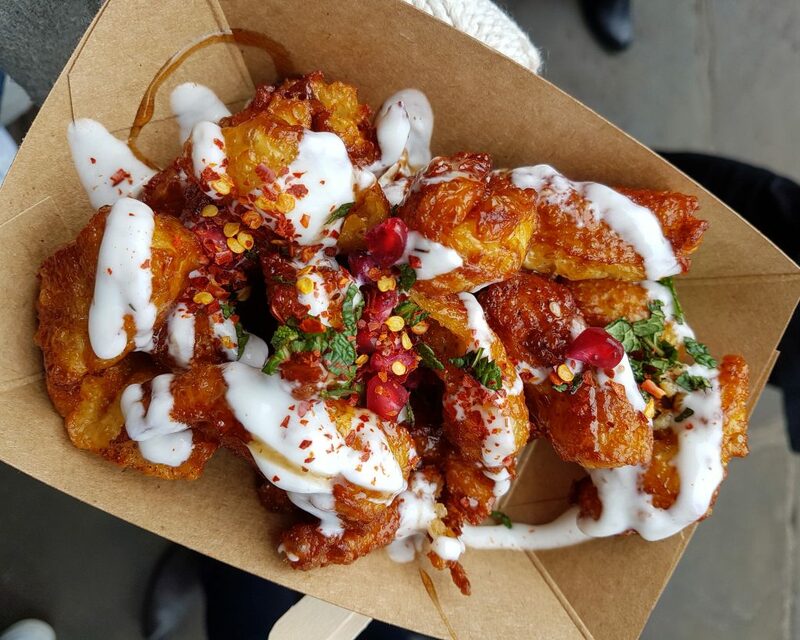 It is hard to keep track of their exact movements due to the dynamic nature of London’s incredible street food scene. 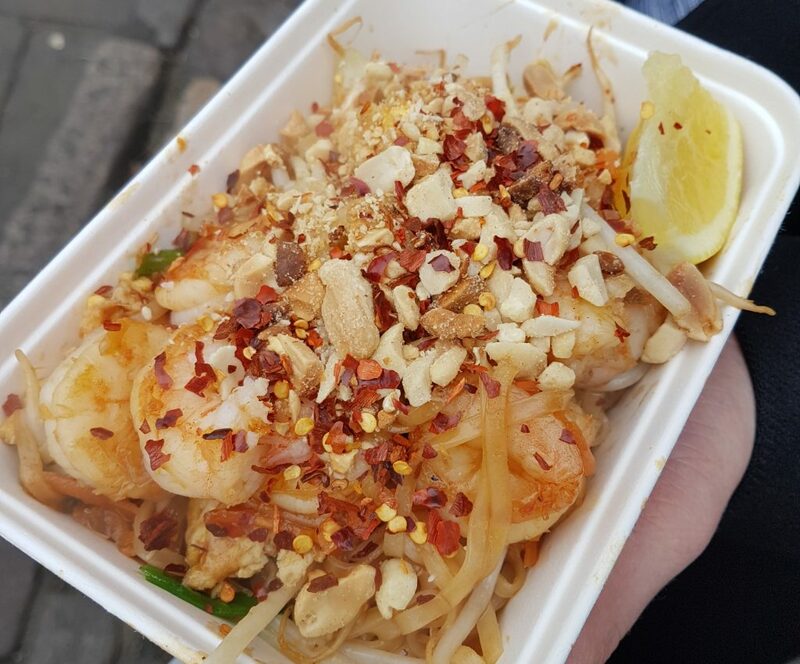 Feel free to get in touch if you have any suggested additions to my gluten free London street food guide. You can contact me on my Instagram account or via email at mygfguide@gmail.com. 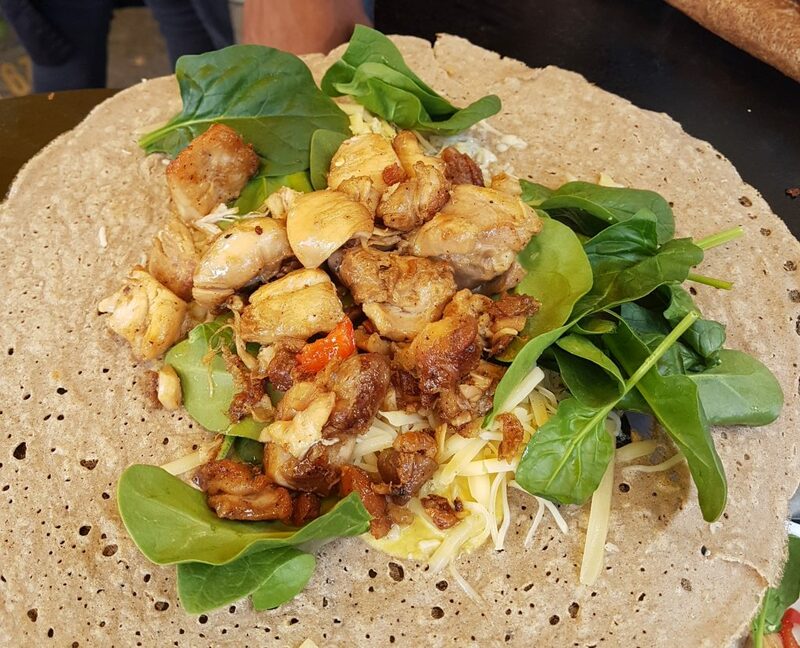 WHAT: A fully gluten free galette stand, which is a refreshing change from the many others that offer a gluten free option but that cannot cater for coeliacs. A La French do huuuuge gluten free buckwheat galettes, filled with generous toppings and priced reasonably. 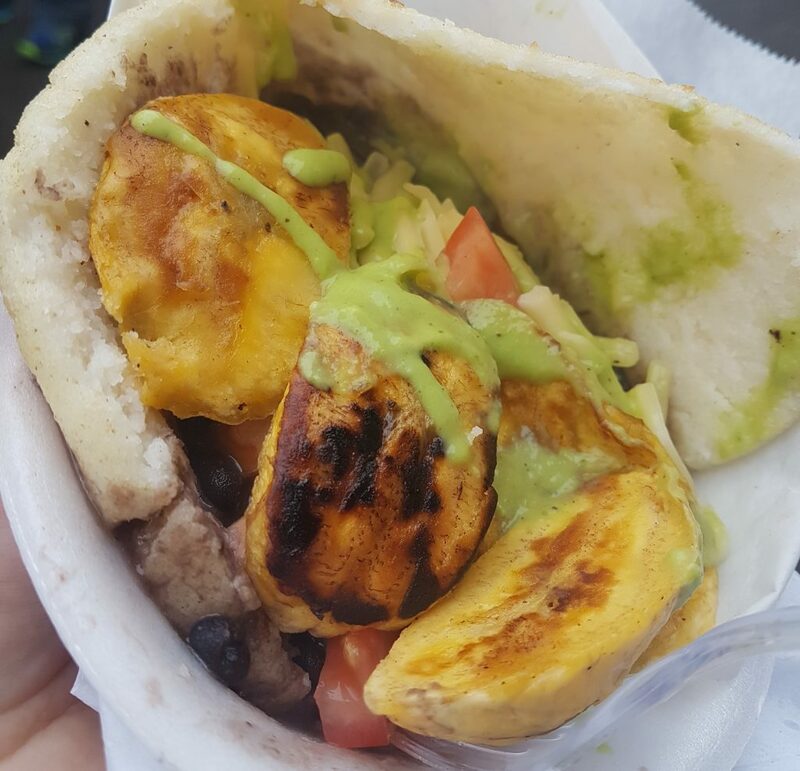 WHAT: Venezuelan arepas – little cornbread patties filled with amazing things, from shredded meat to plantain, avocado and cheese. 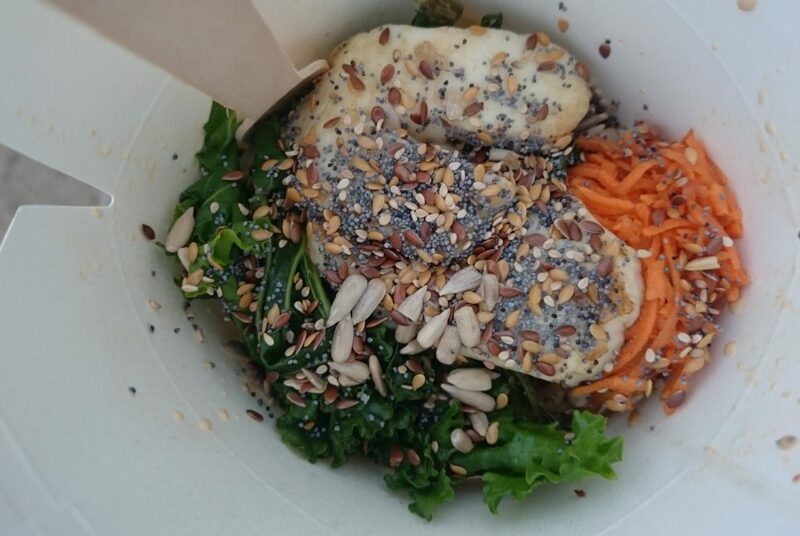 WHAT: A noodle box filled with lots of good things that are all naturally gluten free – curry, pickles, seasonale greens, rice, seeds and halloumi. This box never disappoints. 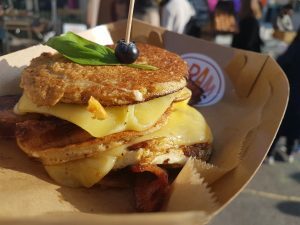 WHAT: A fully gluten free pancake spot, which can also be made dairy free too (depending on which toppings you choose). The pancakes’ secret ingredient is coca cola or lemonade! WHERE: London Fields Sunday Market. WHAT: Beautiful gluten free vegan cupcakes and other baked goods. WHERE: Sold mainly from their fixed shop in Elephant & Castle but they pop up at lots of food markets. 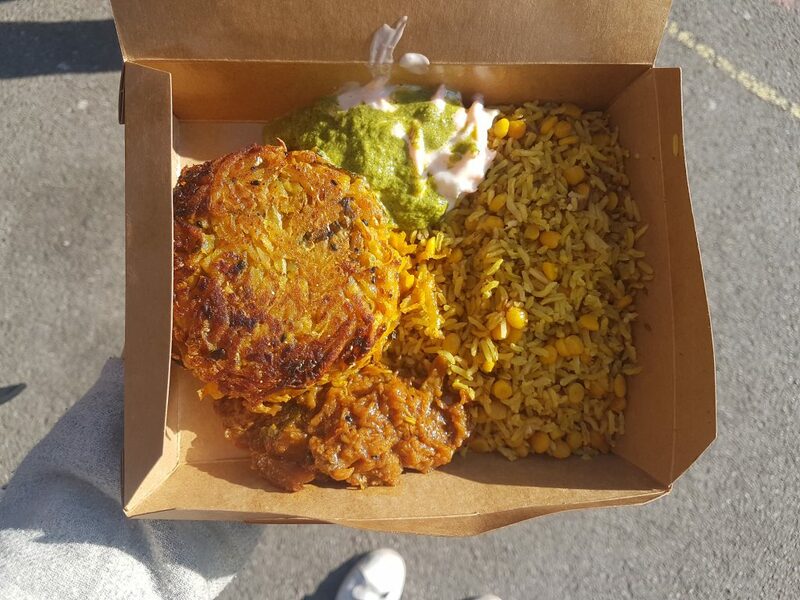 WHAT: The best onion bhajis of your life and lots of other naturally gluten free South Indian cuisine. WHERE: Currently unknown, but keep an eye out for them! What: Gluten free smores cheesecake – the stuff of dreams and you wouldn’t be able to guess that it’s gluten free. Fab red velvet cake and cookie sandwiches plus so much more. They also do a wonderful gluten free seeded loaf that freezes well if you don’t manage to eat it all while it is still fresh. WHAT: Fully gluten free Mexican food, including an awesome take on fish and chips. 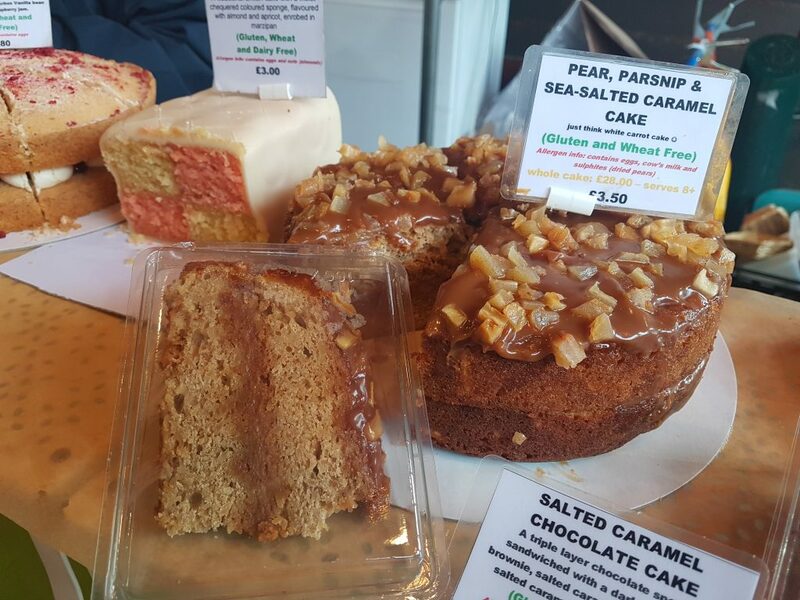 WHAT: Gluten free cakes, gluten free pastries and gluten free bread galore. Eclairs, doughnuts, spinach and feta squares, crusty baguettes – Floris Foods have them all. 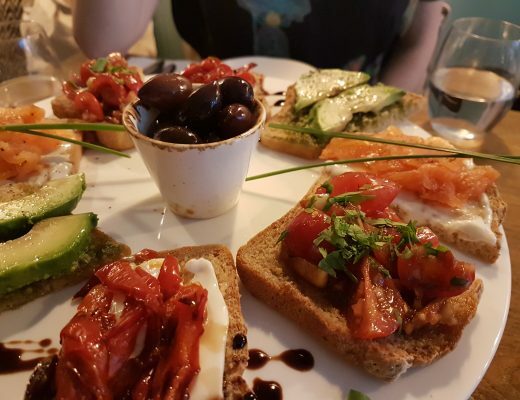 I am a big fan of their olive baguette, and in the summer they often have lovely sandwiches that are perfect for picnic time at the London Fields outdoor lido. WHAT: Aaaaall the gluten free baked goods, including some epic-looking cakes. 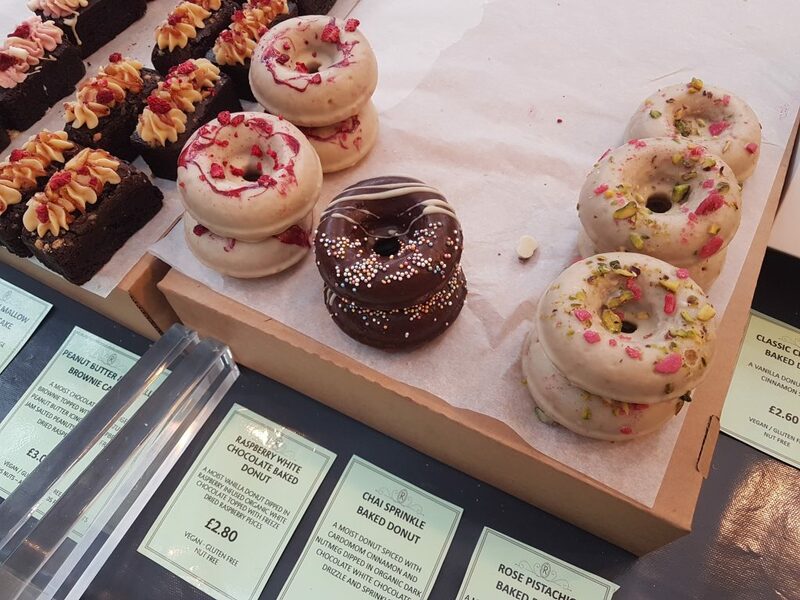 The best place for a sweet gluten free treat in Borough Market. 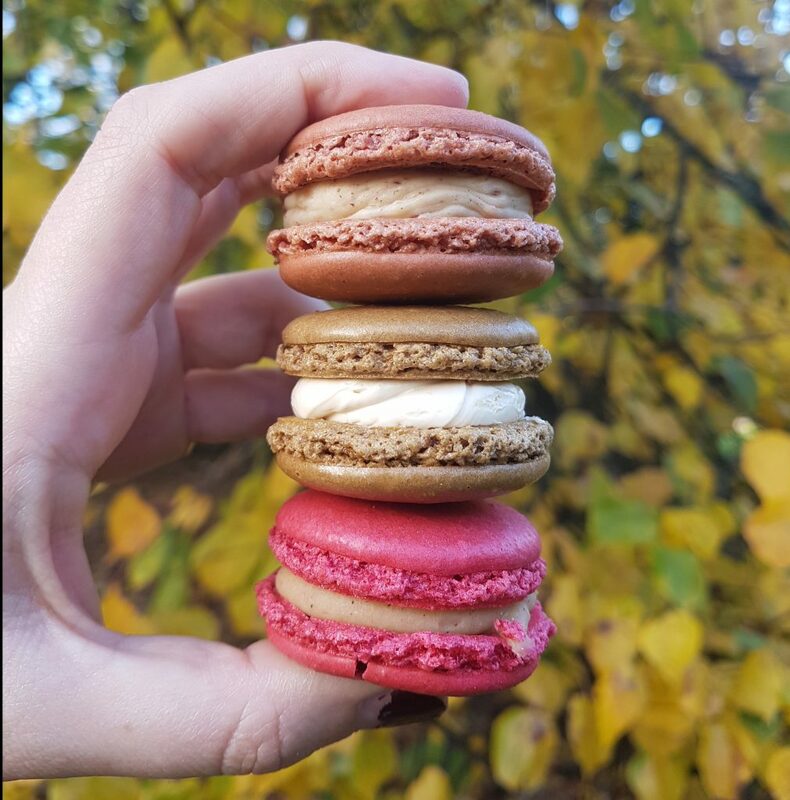 WHAT: Gourmet macarons – all of which are gluten free – in creative flavours ranging from caramel, chocolate and sea salt to pear, vanilla and cinnamon. Delicious! 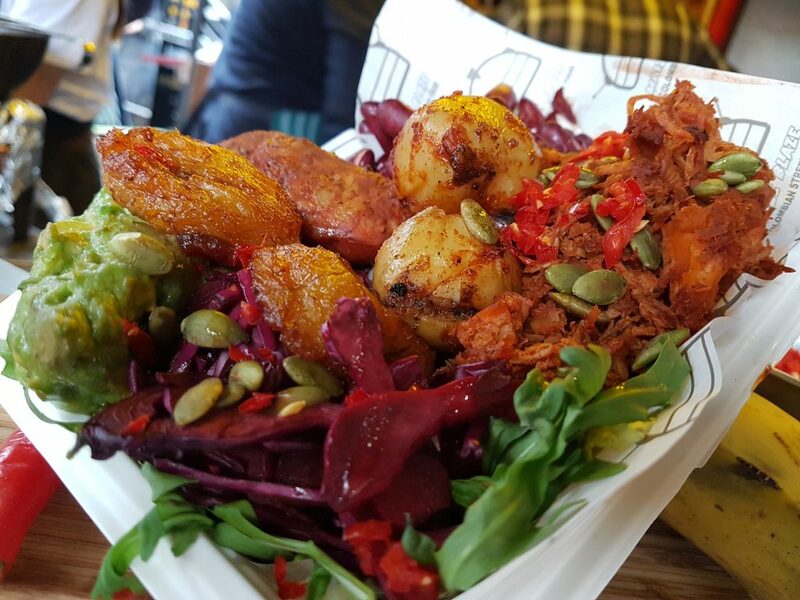 WHAT: Fully gluten free Indian street food. Dosa wraps etc, all naturally gluten free. WHAT: Gluten free brownies, which are also palm oil free. WHERE: Occasional pop ups – visit their website for more info. WHAT: Indonesian curries – I love the beef rending from Makatcha with a side serving of peanut sauce. All their curries are gluten free and delicious. 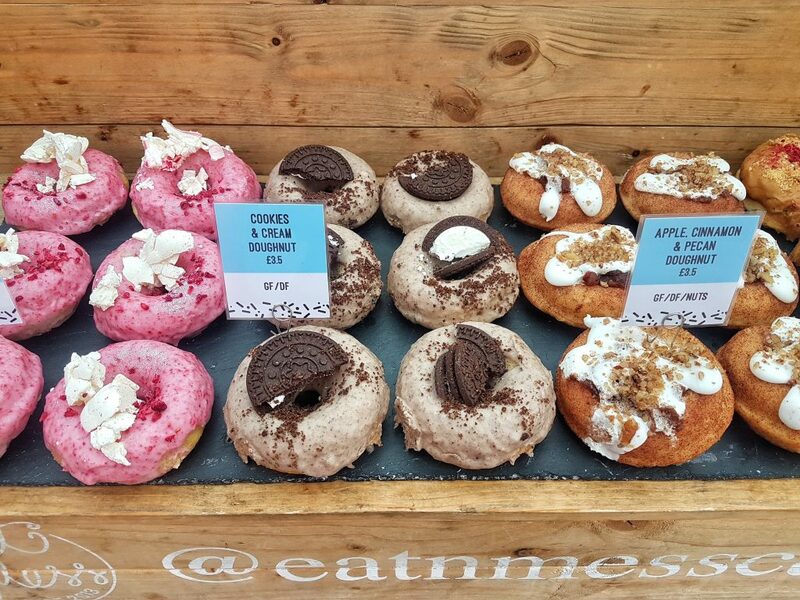 WHERE: West India Quay (Fri), Broadway Market (Sat) and Camden market (all week). WHAT: Wonderful Columbian food that is fully gluten free. I am a big fan of these guys and their meal boxes always hit the spot. 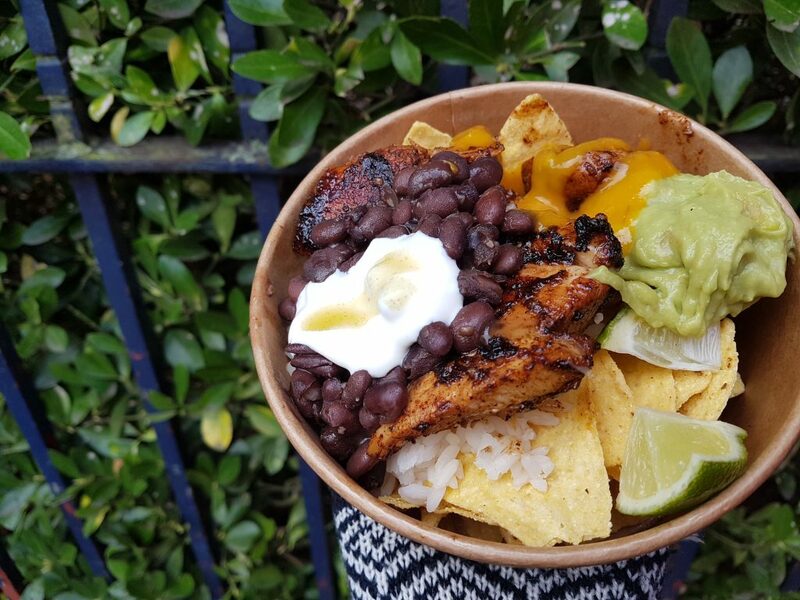 WHAT: Mexican bowls topped with guacamole, cheese and all the other goodies. The stall is naturally fully gluten free. Dairy free options available. WHERE: Victoria Park Market (Sundays), KERB Kings Cross (Thursdays). 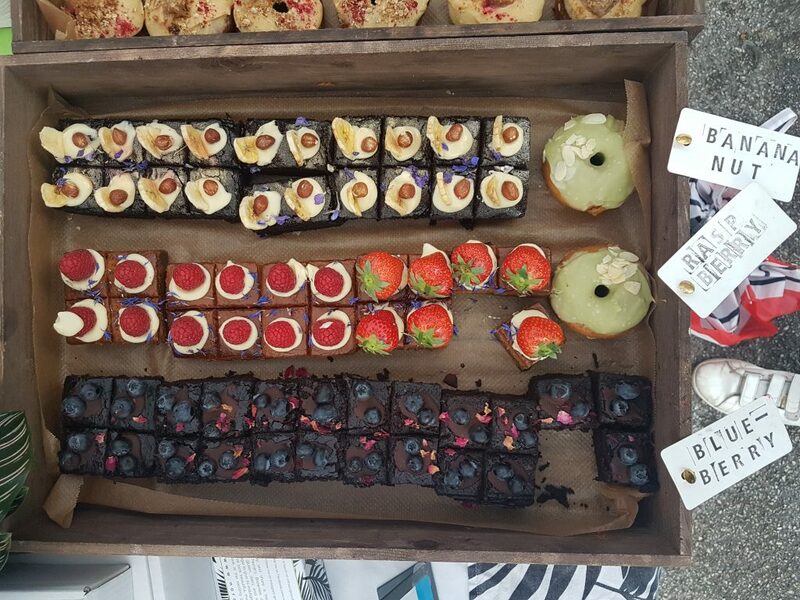 WHAT: The prettiest gluten free brownies you ever did see and amazing bronuts (brownie meets doughnut and has a cake baby) from this 100% gluten free, dairy free and vegan stall. 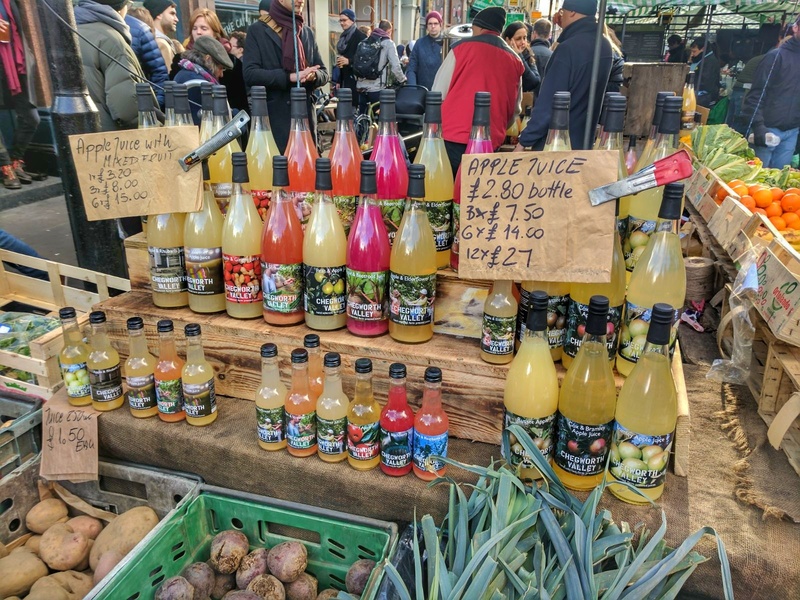 The treats sold here are totally delicious and come in amazing flavours like rhubarb and custard and toffee apple, depending on the season. 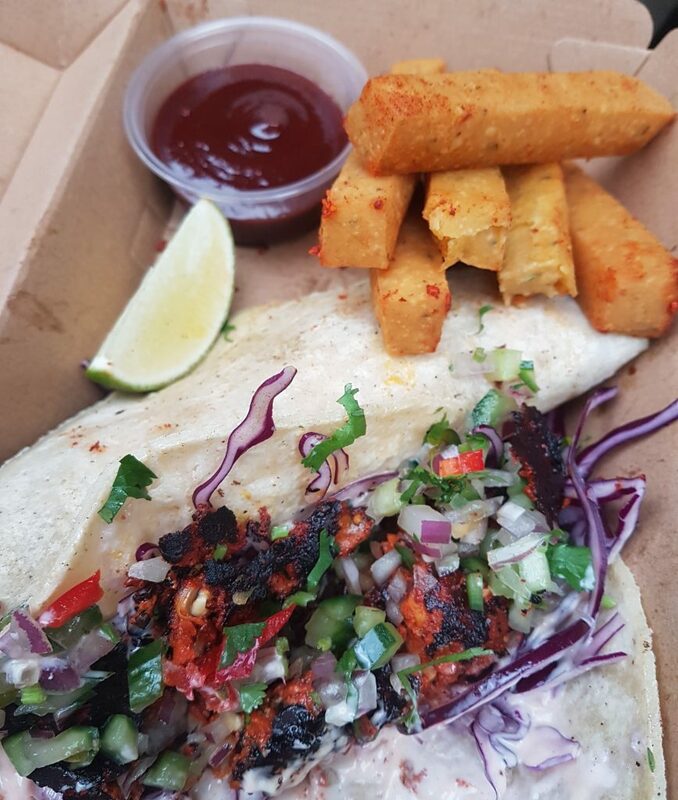 WHAT: Halloumi friesssss with some incredible toppings, phwoooaaarrrr. All naturally gluten free and no fryer cross contamination. WHAT: Gluten free coconut pancakes, which are also vegan. I haven’t tried these guys yet but they are on my list! WHERE: Camden Market (Mon-Sun), Broadway Market (Sat), Brick Lane Market (Sun). WHAT: Varieties of paella that are all naturally gluten free. WHERE: Pops up at most London festivals. 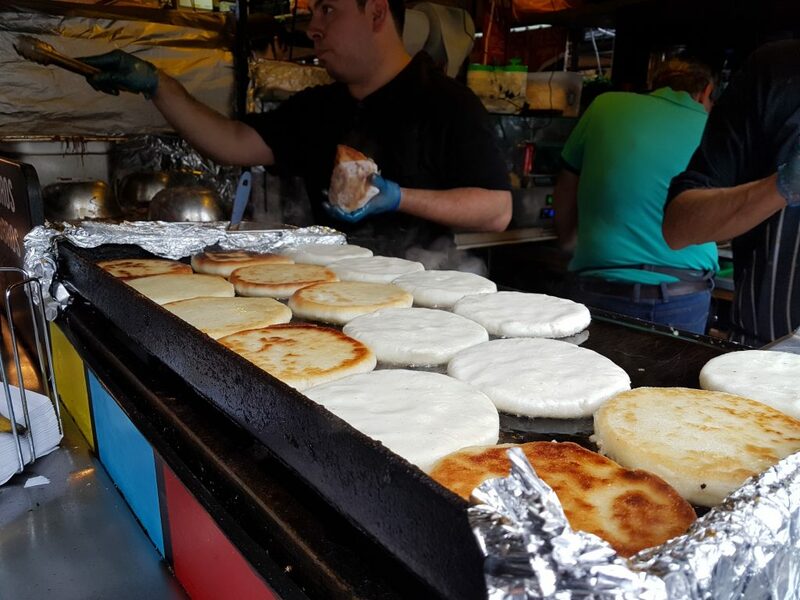 WHAT: Fully gluten free Venezuelan food, including killer arepas and sides. WHERE: Hawker House on Fridays and Saturdays, Camden market all week, POP Brixton all week. 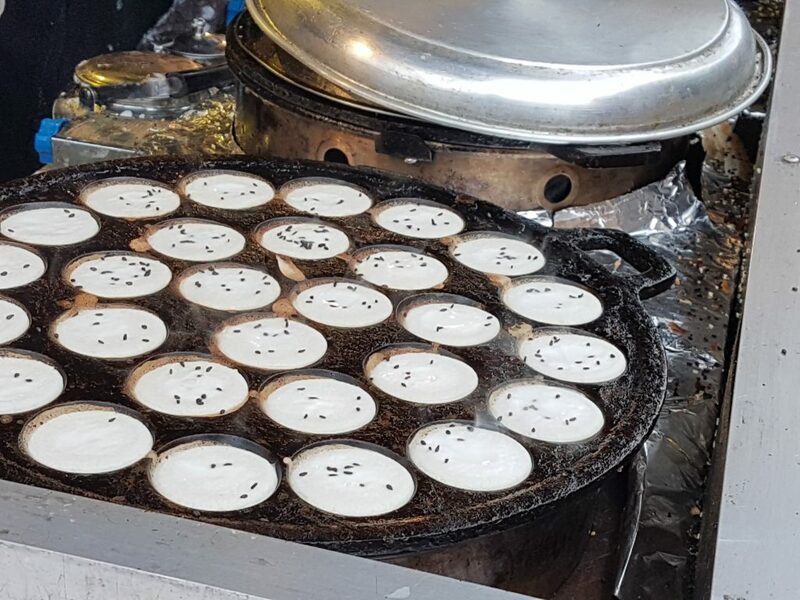 WHAT: Melt-in-the-mouth pancakes made with rice flour and topped with aaaaall the deliciousness. Usually fully gluten free but please double check in case they have added any gluteny toppings to their rosta. WHAT: All the cheese! This raclette stall is usually fully gluten free as they use potatoes as a base. Please double check when you visit them in case they have changed their menu. Their raclette with bacon sprinkles is immenssse. 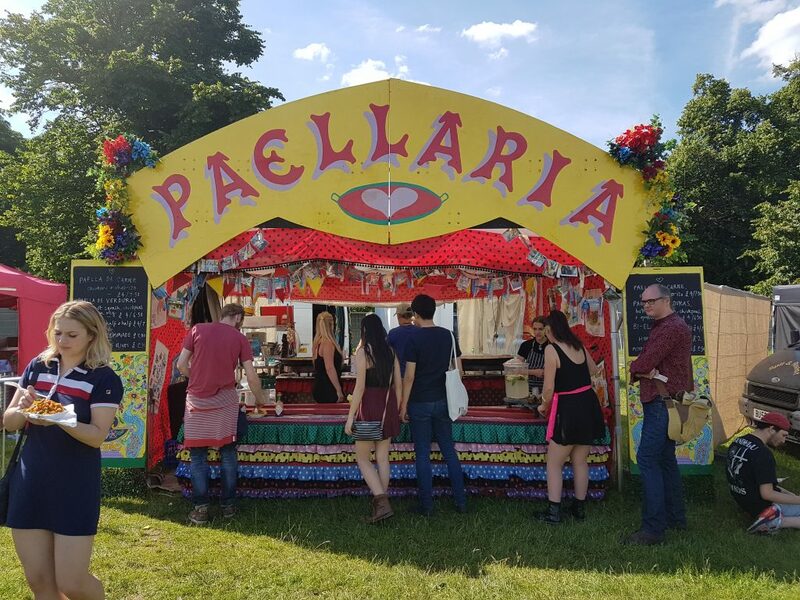 WHAT: A fully vegan and gluten free stall. 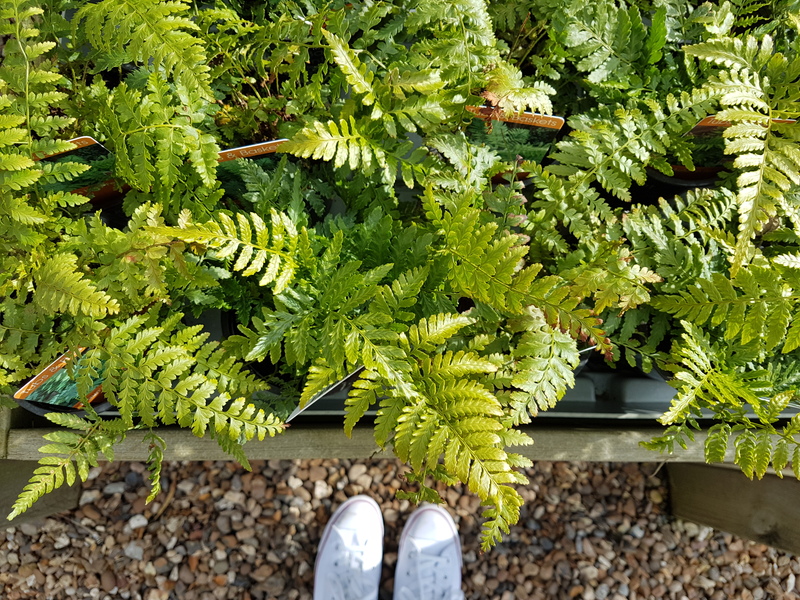 Their products are also free from dairy, eggs, wheat, soya, additives, preservatives and refined sugar. WHAT: Japenese-style sushi rice burgers. Sounds surreal, taste great! WHAT: Serving up sizzling pad thai, which is gluten free according to their signage. It always looks immense! WHAT: Fabulous Indian food from Kally Cooks. They have lots of gluten free options and the food we tried really was fantastic. When we visited it was fully gluten free, but check before you order as the menu does vary. WHERE: Broadway Market (sometimes), Saturdays. 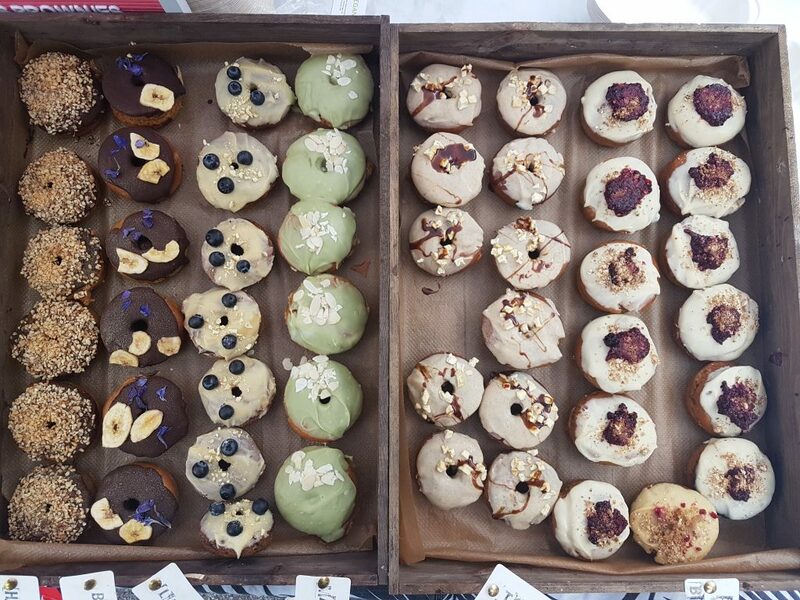 WHAT: Incredible gluten and dairy free dougnuts, cakes and doughnut-topped cupcakes. They also have some vegan choices. Half of the stall is fully gluten free and served by a dedicated gluten free trader, but beware the other half of the stall which sells vegan cake (not gluten free). Just check with them when you are buying. There are no cross contamination worries due to how separately they store everything.